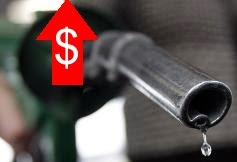 Bad news..another increase of 10% of petrol prices. This is really bad as our salary cannot keep in tandem with the increase and petrol prices have a triggering cascading effect of rising the prices other good items. Yet we still see RM100 screwdrivers being bought indiscriminately without any punishment or investigations to the proprietors, year by year. PETALING JAYA: The price of RON95 and diesel fuel will go up by 20sen effective midnight. The new prices for RON95 will be RM2.30 per litre while diesel fuel will cost RM2.20 per litre. Maybe this is the bad news release earlier before the budget 2015, which there might be some 'small' goodies back to the people. Increasing the BR1M amount? Nevertheless, it is like giving your RM20, but taking back RM50...go figure..
Middle class and working class going to suffer again as there are little tax breaks for those in this group as seen in previous few year budgets. Middle class disappearing year by year. GST going to be the biggest revenue earner.